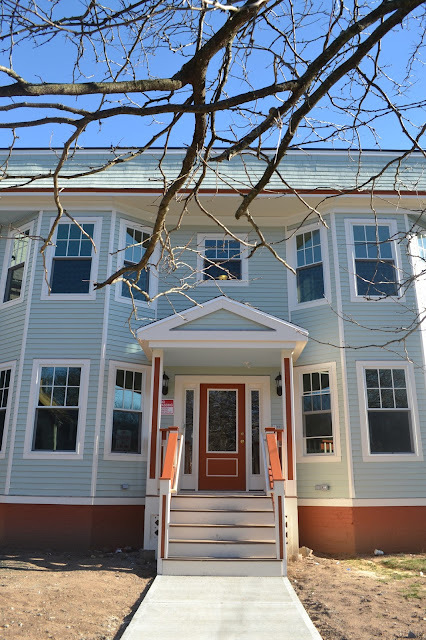 Beautiful, newly renovated apartments with 2 bedrooms, 1 bathroom. 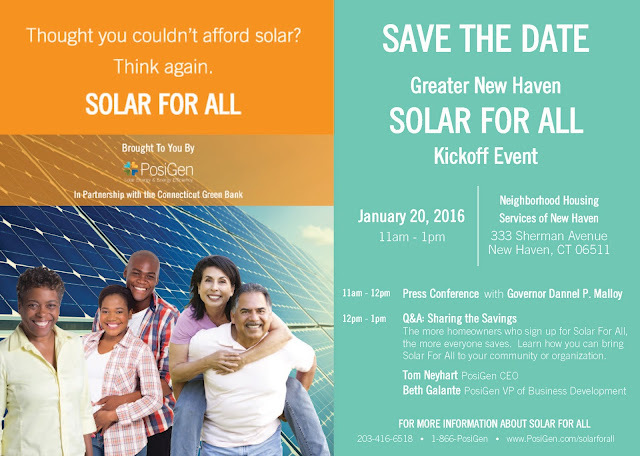 On Wednesday, January 20th, NHS of New Haven hosted a press conference brought to New Haven by PosiGen, the CT Green Bank, and the New Haven Energy Task Force. 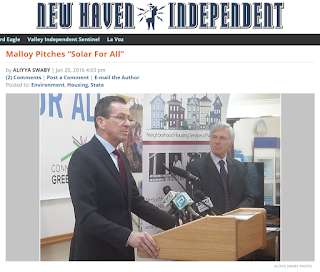 The Press Conference, attended by Governor Dannel Malloy, kicked off PosiGen's dedication to bringing solar energy to homeowners of all income throughout the Greater New Haven area and all of Connecticut. With an illustrious group of speakers, the Press Conference was a great success! 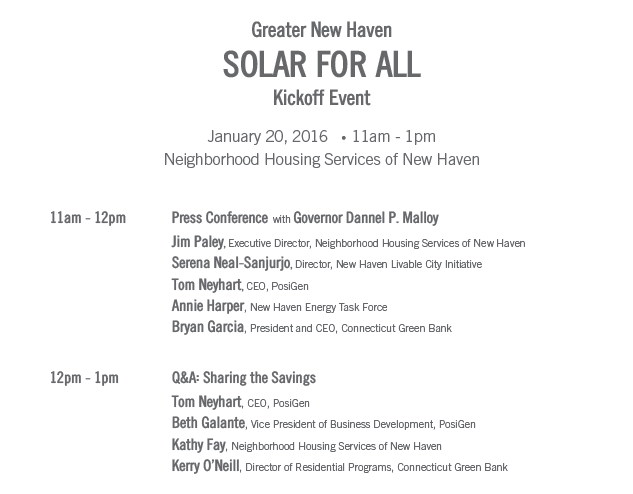 We want to thank everyone who attended the event and support solar energy in New Haven. 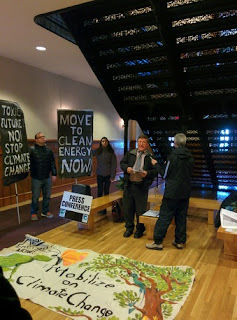 Here are a few links of our press coverage. Simply click a photo to view the article/video. If you're interested in Solar Energy for your home, please reach out to PosiGen for more information. Start a Financial Plan This Tax Season! 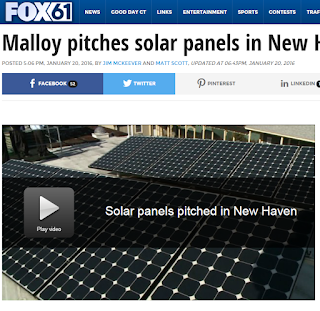 The more homeowners who sign up for Solar For All, the more everyone saves. 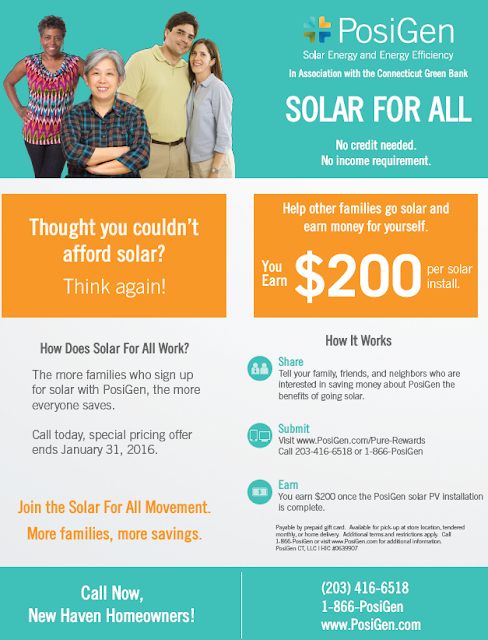 Learn how you can bring Solar For All to your community or organization. On the steps of City Hall today, more than 30 organizations called on the administration of Mayor Toni Harp to continue addressing climate change by updating the city's 2004 climate action plan with new goals and targets. The organizations are asking the city to implement strategies to reduce climate-warming greenhouse gas emissions and adapt to the unavoidable impacts of climate change. 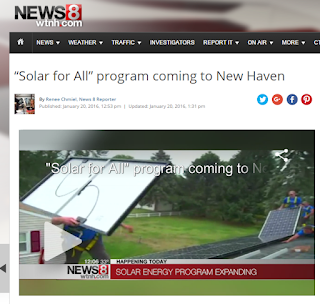 There are many benefits to addressing climate change on the local level, including job creation for New Haven residents, improved health for city residents, and local investment in sustainable energy infrastructure. The organizations are particularly interested in local climate action after the outcome of the Paris Agreement last December, where over 195 countries agreed to address climate change on both the international and national levels. Commitments from all levels of government are crucial to help the United States meet its targets in the Paris Agreement. 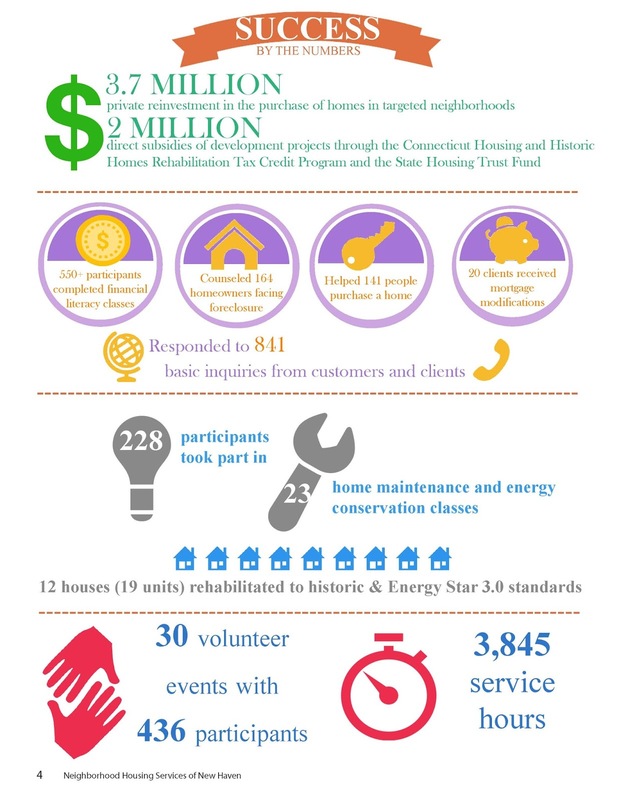 "Neighborhood Housing Services of New Haven builds green because it is better for the planet we live on, better for our city and its neighborhoods, and much better for our resident homebuyers, whose energy costs will be as low as half of what it typically costs to heat, cool, and light an unimproved house of comparable age, size, and style. Other benefits include better indoor air quality and durability," said Henry P. Dynia, Jr., Director of Design & Construction. 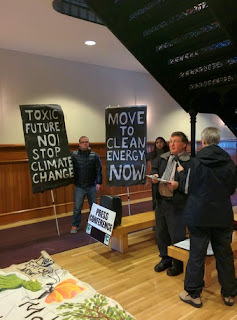 Connecticut's Global Warming Solutions Act requires the state to reduce greenhouse gas (GHG) emissions at least eighty percent from 2001 levels by 2050. 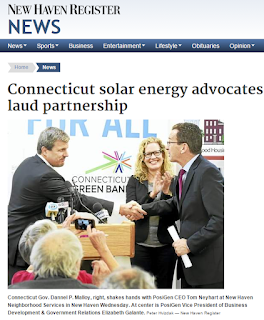 Governor Malloy created the Governor's Council on Climate Change on Earth Day of 2015 and charged the Council with the task of determining what strategies will enable the state to achieve the 2050 emissions target. The Council's initial report and recommendations will be completed by February 2016. 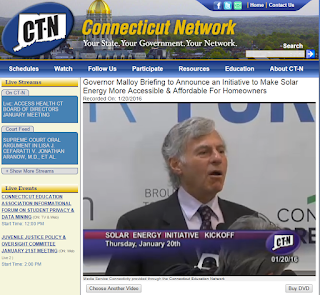 It is essential for Connecticut municipalities to do their part in helping the state achieve these necessary emission reductions. Cities like New Haven are responsible for a significant portion of emissions in Connecticut and should take a proactive role in implementing aggressive emissions reduction strategies. In addition, Connecticut municipalities must develop plans to adapt to the present and future impacts of climate change, including more heat waves, increased flooding, heavier downpours, and more severe weather events. As a coastal city, New Haven is particularly vulnerable to sea level rising and flooding. The undersigned organizations are deeply concerned that New Haven has not updated its climate action plan since 2004. The past eleven years have brought significant technological, scientific, and policy changes, which the city's climate action plan must reflect. The state's ability to meet its 2050 emissions reduction target depends on cities like New Haven reducing emissions, and the citizens of New Haven deserve to know how the city will reduce its emissions and adapt to the impacts of climate change that cannot be avoided. 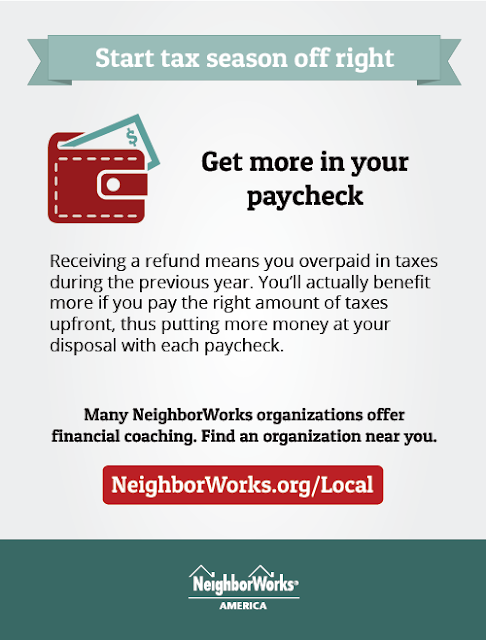 Moreover, there are co-benefits associated with reducing GHG emissions, such as creating green jobs, reducing air pollution, improving active transportation, and reducing energy costs for New Haven families. For the reasons articulated above, we respectfully ask the City of New Haven to fully update its climate action plan as expeditiously as possible. The climate action plan should clearly explain how the city plans to reduce GHG emissions and adapt to climate change impacts. New Haven should also establish GHG reduction targets and interim goals (which should be consistent with state goals) so the city can monitor its progress. We urge the City of New Haven to finalize a climate action plan by July 1, 2016 and begin implementing mitigation and adaptation strategies immediately. 10 Days Away From Our Garden Workshops! Register Today for our Grow It! Garden Workshop series! The first workshop takes place on January 23rd, 2016. Avoid Paying for Tax Preparation When You Don't Need To! 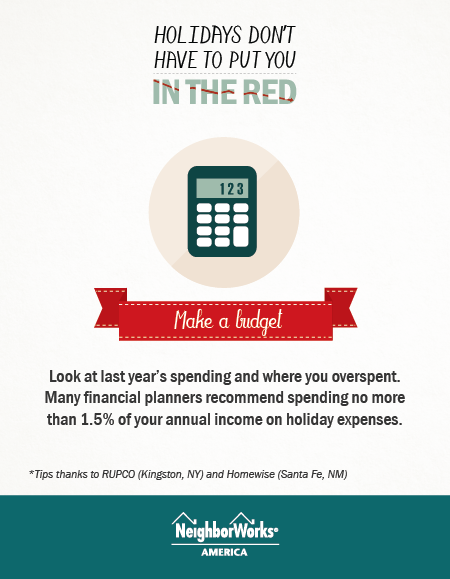 Holidays Don't Have to Put You in the Red! Happy New Year! Upcoming Events at NHS! 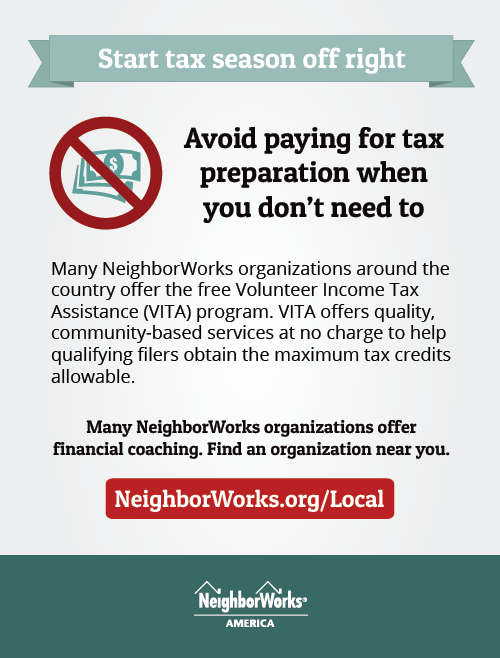 Now that the new year is upon us, it's a great time to look ahead at all of the upcoming events brought to you by Neighborhood Housing Services of New Haven. If you have any questions about any of these events, please feel free to contact us at 203-562-0598. 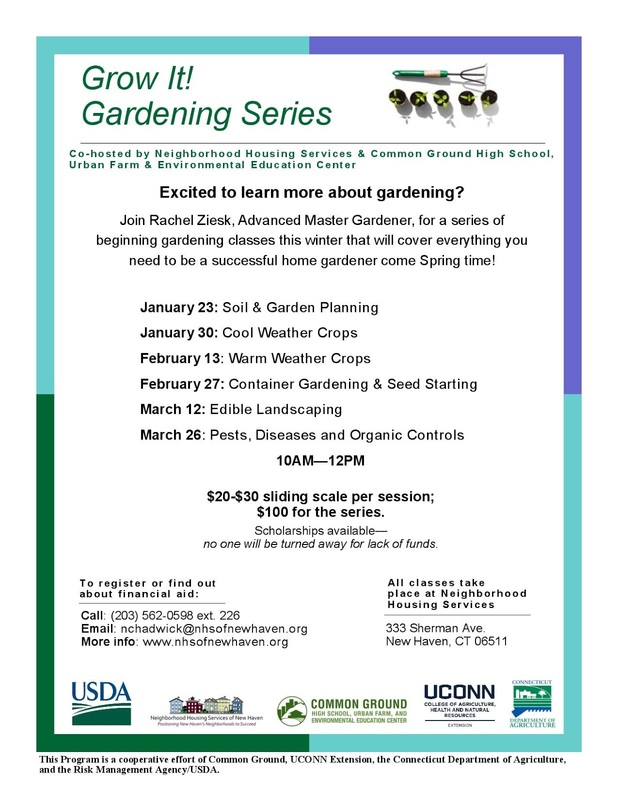 Join Advanced Master Gardener, Rachel Ziesk, for a series of classes that will cover everything you need to be a successful gardener come Spring! Individual classes are just $20 or $100 for the entire 6-session series. Scroll below to see a full description of each class. The Newhallville99 project is designed to celebrate the rich and vibrant history of New Haven's Newhallville neighborhood, and to highlight recent initiatives and accomplishments within this community. 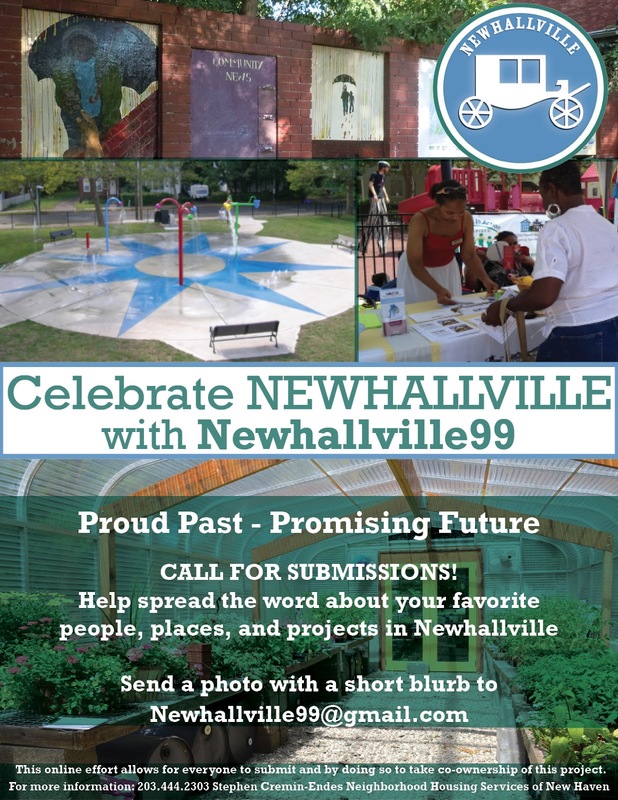 Newhallville99 is a way for everyone, whether they reside in Newhallville or not, to be inspired to engage with their communities, be proud of where they live, and look forward to a future of never ending possibilities. When it comes to deciding who to work with when you are in the market for a new home, NHS of New Haven knows that you have lots of options. So why work with us? We use the information you provide to create a home purchase package that is unique to you. Our housing specialists understand that the process of purchasing a home can be stressful and confusing. When you work with us, you can rest assured that we will arm you with the resources and knowledge to make informed, unbiased decisions. 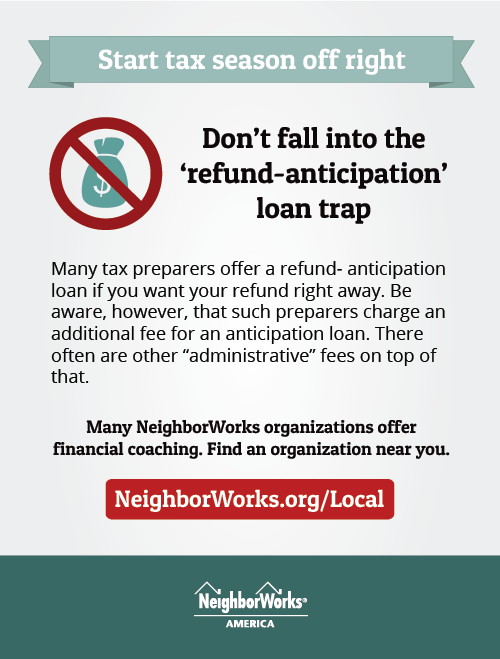 We ensure that you are prepared for the responsibilities of homeownership and are more resistant to default and foreclosure. At NHS, it's our goal to make sure that you're purchasing a home that you can not only afford to buy, but afford to keep. 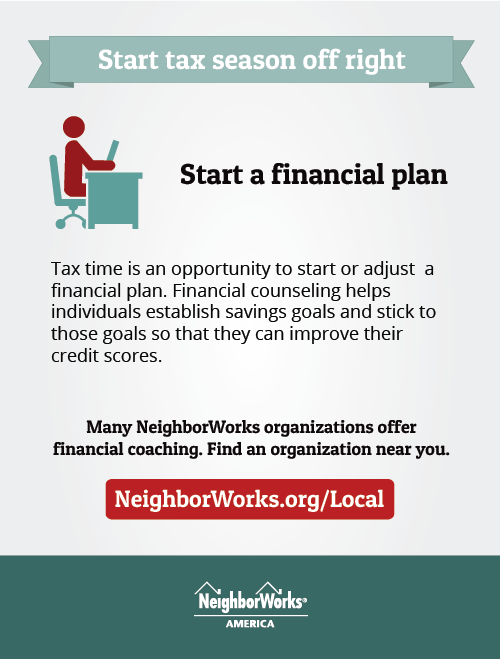 Click here to begin your journey to homeownership! The most important component for a successful garden is soil health. Learn how to make and keep your soil healthy, as well as how to plan your garden for the most productive season. Learn about starting your garden as soon as the snow is gone! Cool Weather crops don't mind the cold and give you a head start on the season. Most can be planted directly in the ground, saving any space you use for seedlings for other crops. Everything you'll need to know about warm weather crops: which ones are best started indoors, or direct seeded into the ground. What fertilizers to use, what conditions each crop prefers, all the information for a productive growing season. Some people have no access to garden space -- that doesn't mean you can't grow your own vegetables. Container gardening can be rewarding and supply you with more food than you thought! Learn the in's and out's of using containers for your growing needs. 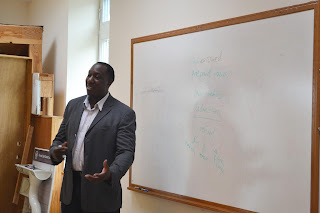 The class will also go through everything you need to know to start your own seedlings. Everyone attending will get to plant a six pack of seedlings to take home with them. Attractive plants or food? Why not have both? Lots of edible plants are beautiful additions to even an ornamental garden. Learn which plants will perform well in either a vegetable or ornamental garden, which ones not only produce food but create attractive areas in your garden. Also learn about weeds that are edible and nutritious, and invasive plants and how to get rid of them. There are lots of pests and diseases that can affect your garden. Learn about the prevalent ones and what organic controls you can use to combat them for a healthy, productive garden.